I wished to try a new Base and there have been some recently that I was going to try but I was delayed and other members tried them and posted their opinions. Then a few days ago, a link was made to quite an old post, a post which is almost my "Nirvanna* and I had not found. Result, I made Taz curry base, as it is the base used. And since I have a pan of it on a low simmer, I figured I might make a dish I have made many times before to compare it to, hence the Subject. Also it ties into my Splitting post. It was delicious and now I have to add it to the list I will make for 'International Football nights' when they restart soon. The list is getting longer than the number of people that I can fit in front of my TV! Apart from the Taz base, what was your recipe? Work getting in the way of Life I am afraid but also glad of, work was a bit bleak a few weeks ago and I still need cash to buy ingredients, as well as paying the bills. I followed the original Mick/Taz base and whilst I was sceptical at first (it was the one used in Stephen Lindsay's Punjabi Masala I think), I always have to try stuff myself as we are not all the same and different people like different things. As for the CTM recipe, I did mention I have been lurking for quite a long time and tried many recipes from many posters, founders and recent? So the recipe I settled on is a bit of a mish-mash to get the taste as close to what I wanted (and the wife used to) from atleast 3 different posters. I put it together, printed it out and have a laminate of it for easy reference without having to try to find the different posts and remember what I did last time, so No, not a traditional BIR and hence why I was a bit cryptic and didn't give it when I posted about "splitting", except that I like a creamy texture. 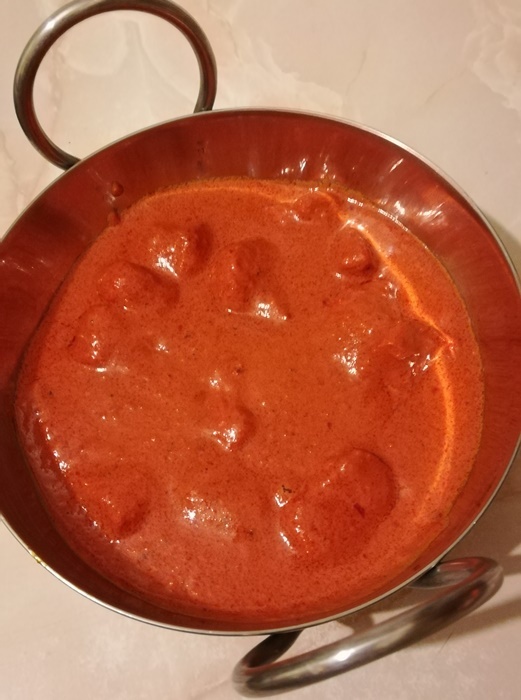 Later today I will have some chicken marinaded and ready to pre-cook so that I can try the Punjabi Masala, which reads and looks very much like a "Boti Tikka" dish I love and used to be able to get until my favourite TA closed, moved, and lost his head chef... I have been searching for a long time without success to replicate it. If you feel like sharing your CTM, Bob, I'd be happy to give it a try.